With no end in sight for winter just yet, we are more than glad that March has some extremely hot gigs coming up that will shelter us from freezing winter nights whilst enjoying some of the incredible live music. One of Sheffield’s most promising new bands, Vuromantics are bringing their unique retro inspired electro-pop sound along on a highly anticipated nationwide tour. With 2 EPs already under their belt since emerging in early 2017, and their debut album release in the pipeline, this show is the perfect chance to see these five lads deliver their highly-charged live show in such an intimate venue. Support comes from 3 superb local bands: Echolines, Columbia and Crux; each with their own diverse rock sounds to get the night off to a strong start. Spotlight UK are proud to present this female-focused line-up in honor of International Women’s Day. Starting with the stunning and thought-provoking tones of singer-songwriter Eve Simpsons before taking a turn into rockier vibes with two bands featuring upliftingly powerful front-women: Human X and Chain the Phoenix. Headliners on the night are none-other than synth-pop trio Twist Helix. Fresh from their own headline tour and with Bea on lead vocals and keys, their infectiously cinematic-electronica sound is guaranteed to have you dancing the night away as you marvel at the incredibly diverse talent our region has to offer. Bringing their emotive dream-rock melodies to the trendy Surf Café for an intimate headline show, Sauvage are unlikely to remain a local secret much longer. With the release of their anthemic single 'Synthetic Silence' last month, we are absolutely hyped to see the Newcastle band kickstart their 2018 with another of their hauntingly beautiful live performances. Support comes from the mighty NOAH NOAH, all the way from Edinburgh, as well as local roaring rockers Mosaic Sun. 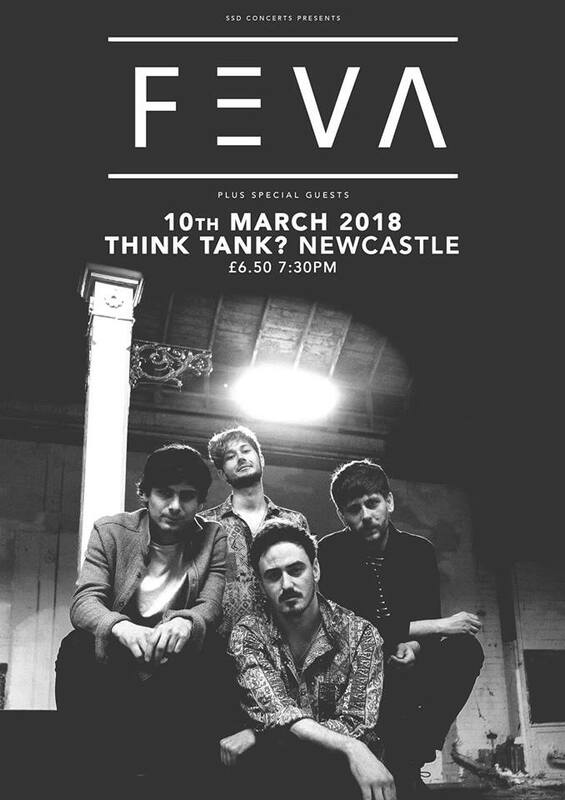 One of our fastest rising local legends, FEVA, are bound to set Think Tank alight with their broody riffs, soul-shaking vocals and energetic live performance. Having recently wowed crowds during their support set for the mighty The Pale White at the Riverside, as well as successive releases of enthralling rock anthems, this headline show is just another step forward in the band's journey to the top. And with support from two local bands that are also quickly making a name for themselves, Penguin and Savana, this show is going to be a clear highlight this month. Liverpool's sparkling indie-pop band Spinn are making a welcome return to Little Buildings after leaving our heads and hearts spinning thanks to their enigmatic onstage performance and catchy feel-good tunes when they last played this intimate venue in 2017. Their recent releases 'Notice Me' and 'After Dark' are full of catchy melodies and sparking guitar rhythms that will have everyone on their feet and singing along in no time at all. But that's not all, support comes from not one but two of our our most hotly tipped local indie bands: Mayfare and Giraffes. An absolute highlight in any indie-pop lover's gig calendar. Since first forming in 2016 Swindon three-piece Yves have released a string of exhilarating indie-rock tunes, swiftly earning them a firm following across the globe. With their brand new single 'Hell from Your Hello' just released, we can't wait to experience these guys live at the Surf Cafe Tynemouth, which is just one of many shows the band are set to play across the UK this spring. Also out to impress with their lively performances and rocking sounds are two superb local bands: Bloomsfield and Savana. To celebrate the release of their upcoming single 'Benefit', local heavy rockers Sleep Tape are putting on another explosive headline gig at Newcastle’s Head of Steam. Known for their fierce and energetic live performance that can’t be contained to the stage, we expect this to be another boisterously wild night that will leave your ears ringing and heart racing. Warming up the crowd with their captivating alt-pop are Kent’s Glass Peaks who have already earned themselves the title of one of the UK’s biggest breakout bands as well as local shoe-gaze-wonders Palma Louca. Hailing from Glasgow, Pronto Mama’s unique medley of soul, electro and rock is positively setting them apart from the rest and embedding themself into the hearts of music lovers far and wide. Taking the eclectic sounds of their 2017 debut album 'Bully March' on tour as far as Paris, we strongly advise you catch this promising band in such a intimate venue while you can. Especially when support comes from two equally spectacular and distinct local acts: high-rising dream-rockers Headclouds and brilliantly witty singer-songwriter James Leonard Hewitson. A truly extraordinary line-up of some of the most intoxicating and legendary bands from the North East music scene are set to leave the walls of the Little Buildings shaking for this special gig on Easter Friday. Currently split between Spain and Gateshead, ground-braking punk-rockers Massa Confusa are reuniting for what is set to be their only UK gig this year. And with the band currently working on a new EP, we may even get to hear a new song or two. Joining this special line-up are fun-filled post-punk trio Casual Threats as well as one of the most exuberant live bands the North East has to offer: energetic-lofi-punk duo Mouses. A real easter treat that is simply unmissable. Eager to get the 2018 festival season underway, Stockton Calling’s incredible lineup of over 60 local and national acts already has us dancing with excitement. 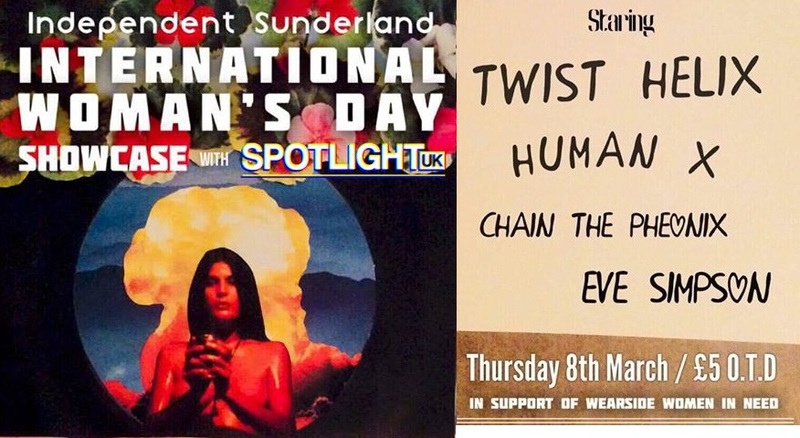 From legendary headliners Lighting Seeds, We Are Scientists and Field Music to high-rising bands The Spitfires, Twisted Wheel and Queen Zee, there will be something for everyone across Stockton’s numerous music venues. But clearly what gets us most excited is the sheer number of outstanding local acts on this festival bill including The Old Pink House, Plaza, FEVA, Twist Helix and many many more! The only hard part will be deciding who to see!